Like many great bands, there is something hauntingly spiritual and honest about Lovedrug. 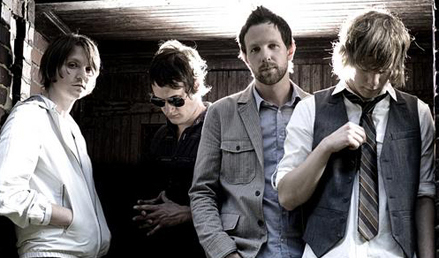 The Ohio-based rock band has shared the stage with artists as diverse as the Killers, Robert Plant, Switchfoot, Sam Phillips, Creeper Lagoon, Eisley, and Matchbook Romance. Only those who have seen the band live can truly understand the growing phenomenon that is Lovedrug. Regardless of how cliché it may sound, Lovedrug live is truly less a show and more an experience. In playing to a variety of audiences Lovedrug have won over virtually every audience they’ve met. 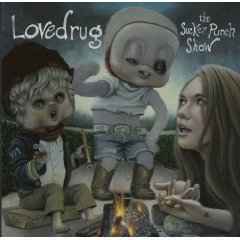 Formed in June of 2002, Lovedrug is the brainchild of vocalist Michael Shepard and bass guitarist Adam Ladd. 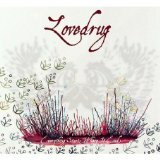 Quickly after forming, Lovedrug recorded a five-song EP, selling out two pressings within three months of its July ‘02 release. Such interest led to further preproduction and early 2003 saw the band head into the studio with producer Tim Patalan (Sponge, The Fags, Peter Searcy) and The Rocknroll EP was released in the summer 2003. Those lucky enough to hear the full-length results frequently give it the nod for ‘best first record by any band in recent memory’. Hinting at the full-length to come, the band released the 6-track “Rocknroll EP” in summer ‘03 to overwhelming acceptance. Cleveland’s Scene magazine hailed Lovedrug as the #1 band to watch in 2004, describing live favorite Down Towards The Healing as “one of the most affecting songs of the year -- local or otherwise.” Numerous college and independent radio stations picked up the record for regular airplay, leading to dozens of top rankings coast to coast, from Hartford, to Milwaukee, to Seattle. After interest from several labels, the band settled with The Militia Group, which issued Pretend You’re Alive in 2004. 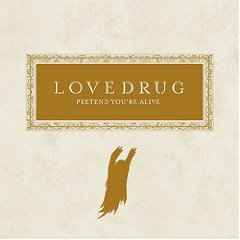 Upstreamed to Columbia Records, subsequent upheaval among key label figures caused Lovedrug to ultimately get itself released from its contract and back to Militia. 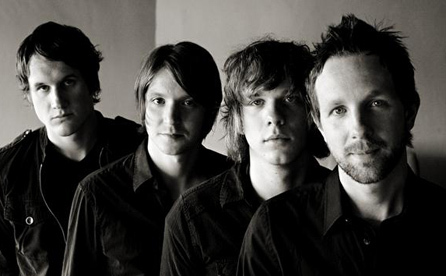 The band’s sophomore album, Everything Starts Where It Ends, appeared in early 2007. Everything Starts Where It Ends is a masterful collection of music and contiguous stories. Avoiding the pretentious befoulments that so often ensnare a "concept record", Everything Starts is a beautiful sojourn of introspection, cast in a cinematic structure that perfectly marries lyrical content and instrumentation. Couched in poetic language sprawling, archetypal, fairy-tale laced narratives open in different ways to every listener, hitting the nerve of universal connection. For Lovedrug, that motivation comes from a fidelity to their music and fans. "Our self-defined purpose,' agrees Shepard, 'is to create music that strives to evoke a feeling in the listener while, at the same time, evoking that same feeling in the band. That is where the real beauty lies. We strive to reach that plain. Always. And we won't stop... so here comes another record." The followup, The Sucker Punch Show was released in 2008. With a unique crossbreed of art and accessibility, powerful melodies driven by smartly crafted lyrics of truth, intrigue, love, death, and just about everything in-between, the band has reached that plain again with astounding results.